When South Africa emerged from three decades of isolation in 1991, their re-entry into the world of trade must have seemed as difficult as their re-entry in the world of politics. The removal of the last vestiges of the apartheid system allowed this glorious and beautiful country to once more fully engage with the world. That brought endless opportunities, but challenges too. In winemaking terms, whilst South Africa has the longest legacy of winemaking in the southern hemisphere, stretching all the way back to the 17th century, much of the apartheid era saw a certain level of stagnation. Large cooperative cellars produced a lot of inauspicious stuff, wine and spirits, that could not, and often therefore did not, aspire to compete at global level. Of course superb historic estates like Kanonkop, Rustenberg and Meerlust continued to make excellent wines, but surely the industry must have lacked drive and direction. The confidence with which the wine industry took up the challenge in the early 1990s was remarkable. South African wines hit the world’s streets once more and the UK was soon lapping up modern, well made wines that offered real value for money. But the pace of change in the Cape’s wine industry has rarely let up in the 20 years since; indeed it seems to have gathered huge momentum. New names like Elgin, Hemel-en-Aarde and Swartland have emerged as some of the most interesting and potentially highest quality wine regions, new producers pop up every other week, established both by local investors and some of the world’s wealthiest entrepreneurs, and a mind-boggling culinary and luxury tourism scene has been created from the dusty back roads of the winelands. 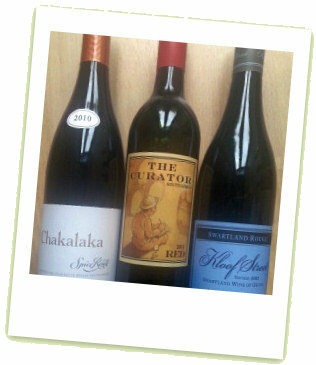 But for the wine lover it is possibly South Africa’s detailed reconsideration of its wines that holds most intrigue. Today it is the understanding of soils, sites and terroir that drives many winemakers. Once, relatively indiscriminate planting in the fertile, established winelands produced whatever the market demanded. But now that is being replaced by more site-specific thinking, concentrating on grape varieties and wine styles, with cool coastal regions being explored, and with patches of wonderful old vine material now being nurtured by passionate winemakers to create some very special South African wines indeed. Most of those old bush vines were once dedicated to brandy or cheap jug wine, but now winemakers in both the newer and more established regions are working with renewed energy to create some intriguing wines. I will be publishing several tasting reports on the wines of the New South Africa (and delivering masterclasses on this subject at The Wine Gang’s Christmas Fairs 2013), beginning with this selection of six from Swartland in the cool East Coast of the Cape, all stocked by The Wine Society. These are pretty much ‘entry level and just above’ wines from some of the region’s top producers like Adi Badenhorst and Chris and Andrea Mullineux. Whilst they don’t hit the heights of their premium, £40 bottlings, they do offer a fine and affordable introduction to this emerging region. Spice route was in fact the Swartland pioneer, when Charles Back of Fairview estate in Paarl launched the label in the late 1990s, with a young Eben Sadie as winemaker. This is made from several varieties, but mainly Syrah (36%) and Mourvèdre (26%), a heady 14.5% abv blend, the components aged individually in a mix of American and French oak casks before final assemblage. It has a rich, thick, plum, blackcurrant and spicy nose, little hints of menthol and sweet earth adding complexity. On the palate it delivers a huge flood of sweet, ripe, glossy black fruit, that washes across the tongue before the kick of spice and pepper punches in. With chocolate-rich tannins and a rasp of plum-skin acidity, this is long, robust and satisfying with spices dominating the finish. 89-90/100. 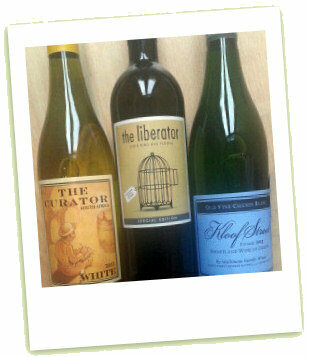 £12.95 All wines stocked by The Wine Society at time of writing.